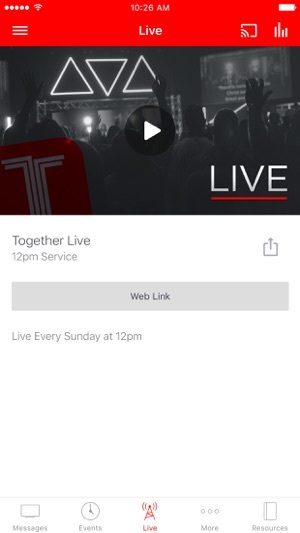 The Official Together Church app provides you with the most up to date content from our Church and our Pastors Micahn & April Carter. 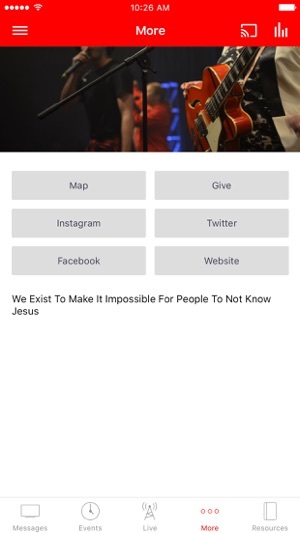 At Together Church we exist to make it impossible for people to not know Jesus. 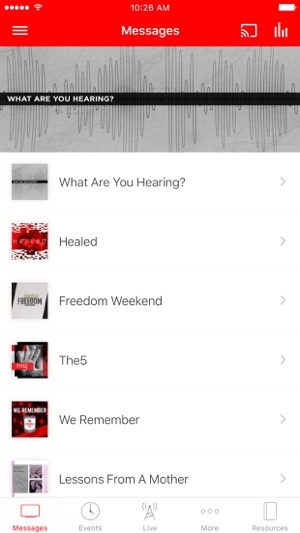 This app provides access to all of our Sermons and other information about what God is doing through our church. Not only will you be able to keep up to date with what's happening at Together Church you will also be able to share content with your friends and family via Twitter, Facebook and email. 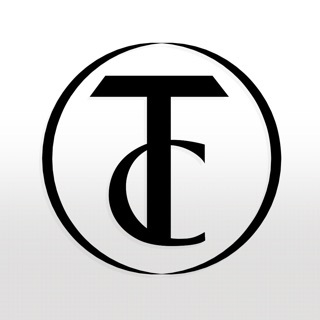 The Together Church App was created with the Subsplash App Platform. I love that I can go back and listen to previous episodes. Great words that always motivate me to better myself. I have recently moved to Oregon from Yakima and the thing I miss the most is Morningstar. Between the worship and the preaching, and god's love that is so heavy - it will guide you and get you walking in Jesus' path faster than you can say "Amen!"